UPDATE: The IG’s report was released hours ago and does indeed point to misconduct by former FBI director James Comey as well as at least 5 agents. The report also details the reckless, and against FBI standards, investigation of Hillary Clinton. Hillary committed felonies and got away with it. Hillary’s “interview” with the FBI was a joke, allowing her to bring her friends, Cheryl Mills and Huma Abedin, who were also given immunity. Hillary destroyed evidence and got away with it. James Comey and Peter Strzok rewrote the letter exonerating Hillary Clinton (thereby avoiding felony charges against Hillary) before Hillary was even interviewed. Political bias is definitely established if only by texts between Peter Strzok and Lisa Page. Lisa warns her then lover Peter to, go easy on Hillary, as they did not want to anger the next president of the United States. In another text, Peter reassures Lisa that we will stop him, meaning Trump from becoming president. Conversely, everything with the Trump investigation has been warrants and subpoenas. Let’s go back in time and revisit what Chuck Schumer said about the Iran Nuclear Deal. Here’s the question: If it is wrong for President Trump to sit down with Kim Jong-Un because he is a brutal dictator, then why was it ok and even commendable for Obama to sit down with the leaders of Iran? Who does Schumer think runs Iran with an iron fist – Alice in Wonderland? Iran is a brutal Islamic regime that imprisons and kills people who disagree with the stated goals and ideals of the Supreme Leader of Iran. Iran is also a known supporter of terrorism and they oppress their own people. How does this make Iran any different from North Korea? Let me answer that for you – it does not. Chuck Schumer is a two-faced liar who plays fast and loose with the truth when it suits him. Remember when President Trump pulled out of the Iran Deal? Schumer jumped all over Trump for doing so. Trump responded by pointing out Schumer’s two-faced idiocy – and even Politifact actually said Trump was right, that should tell you something! Schumer’s positions and thoughts change on a whim, just like the notorious bubblehead, Democrat Nancy Pelosi. Pelosi could and does write the Party line – trash Trump regardless of what he does, while simultaneously trashing the American people without regard for our welfare while at the same time, stating that the welfare of the American people is of paramount concern. That is doublespeak and disingenuous. I will translate this Nancy-speak into English: Trump is an idiot of the first degree, a clueless buffoon who just handed Kim Jong-Un the keys to the golden kingdom without reservation or conditions. Furthermore, Trump is simply too stupid to see the value of allowing the world to walk all over the U.S. thereby ensuring peace and prosperity. The real position: Trump is not going to roll over and play dead like the good lap dog Obama did for his masters. Trump is going to take on any and all comers who think that they are going to screw the U.S. over with impunity. Unfair trade deals, uh no. The joke of a deal made with Iran, not having it. The Paris Climate deal – that the U.S. got the privilege of funding in large part for the benefit of other countries, goodbye, we are done here. Giving American businesses the shaft through high taxes and enough red tape to gift wrap the U.S., not on Trump’s watch. This writer really has to wonder if Pelosi and Schumer actually believe what they say, or if they simply undertake any belief and position to undercut Trump whom it is plain to see that they despise and hate, at the cost of the safety and security of the American people whom they purport to represent. The problem here is that any thinking human being can see that the Democrats as a whole support themselves and do not give a rip about We The People. When your political position is almost solely derived by opposing the opposite parties ideals and a personal dislike for certain politicians, there is a serious problem here. Condemning everything Trump does even if it benefits the U.S. because of hatred for him is a self-centered, spiteful, and hateful thing to do. This is the commonplace political position of today’s Democrats. The Democratic leadership is so filled with hatred for Trump, that they will literally tear down America to defeat him. Again, lets go back to the Iran Deal that most Democrats applauded. Obama was in such an all-fired hurry to get an agreement of some kind in place that he negotiated a terrible deal, which in Obama’s mind was better than no deal. Then the left points to the fact that Trump pulled out of the Iran Deal as well as the Paris Climate deal, and refused to agree to the awful NAFTA deal as proof that Trump is a bumbling, stupid, and incapable moron. What is really going on here is that President Obama was perfectly willing to lie down and roll over to please all players on the world stage. America first was and is a foreign concept to Obama, who placed the importance of Islam above the importance of America and We The People. American appeasement of foreign nations interests at the expense of our own, while apologizing for American power and success were the order of the day under the Obama administration. 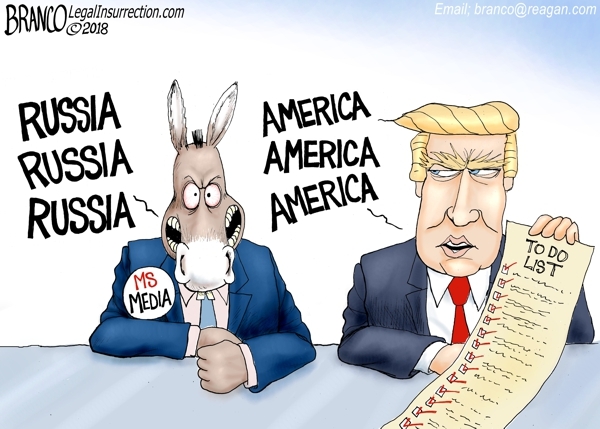 What desperately needs to be understood here, is that the Obama Democrats were and are, more interested in cultivating the goodwill of the world elite, while eroding America’s power on the international stage so as to foster the Democrat’s ultimate goal for the U.S. – giving up it’s national sovereignty to enshrine the U.S. in the New World Order. This would of course mean the end of YOUR rights. America is the foremost nation standing in the way of the move towards globalism – the unification of all people under the banner of a One World government. If you doubt this, then do your research on Agenda 21, Agenda 2030, The Bilderberg Group, and the goals of The United Nations. What do you suppose is one of the U.N.’s top agendas? Would it surprise you to learn that international disarmament including small arms, read pistols etc. here, is at the top of the agenda? Would you be surprised to learn that John Kerry while Secretary of State signed a U.N. treaty, (Arms Trade Treaty – ATT) on weapons that could lead to gun confiscation in the U.S? These are the things that Democrats support, and in turn – so do all who vote for Democrats. Why would Democrats support gun confiscation? Make no mistake here, this is not about gun control, as the Dems would have you believe, it is about total and complete gun confiscation. Why? – because a disarmed people are an easily controlled people. When government has control of all the firearms, it also has complete control of the people, a goal the Democrats whole-heartedly support. Again – pay close attention to Agenda 21, Agenda 2030, and the actions of the U.N., all supported by the globalist Democrats and the RINO’s. Throw in the insidious Democratic corruption and the perception that the Democrats are above the law and can do as they please, and we have here a recipe for disaster. Has Hillary Clinton been charged? No she has not, even though the former director of the FBI, James Comey laid out the reasons to prosecute Hillary, but then said prosecution would not be pursued. Huh? Loretta Lynch and Eric Holder have not been charged either, or Bill Clinton. All are guilty of crimes against America, up to and including treason. How about all the Dems involved in the true Russian conspiracies? Such as Uranium One, and the plot to deny and then to subsequently remove Trump from office? This all has moved far beyond crackpot conspiracy theories – there is simply way to much evidence to dismiss the fact that the Democrats plotted against Trump. Now lets look at so-called Republicans that are covering for and helping the Democrat turncoats: two names come to mind here primarily: Rod Rosenstein and Jeff Sessions. Rod Rosenstein authorized the middle of the night raid on Paul Manafort a week after it happened! Rosenstein also signed off on one of the illegal FISA warrants to spy on the Trump campaign. Rosenstein has systematically stymied Congress’s attempts to get documents from the DOJ pertaining to the Trump Russia investigation, as well as documents related to the Hillary investigation and other matters. Now it comes out that Rosenstein has been threatening people to stop asking questions, or face being “investigated.” That is called misuse of power. Why is this happening? Because if all the information comes out, it will be plain to see the mind-blowing depth of the Democrats (and RINO’s) criminality, and Trump will be proven right that he did nothing wrong while the Democrats committed serious crimes. Lastly, Jeff Sessions could have stopped all of this but chose instead to allow it. Jeff Sessions and Rod Rosenstein need to be fired immediately. ALL the documents the DOJ and the FBI posses on all these matters need to be given to Congress immediately without redactions. One document redacted Andrew McCabe’s purchase of a conference table because that was important secret information, uh huh – the reason was that the table cost American tax payers $70,000. Another was redacted for national security because – it revealed the Democrats plan to install spies into the Trump campaign. America needs for there to be a clean sweep of the DOJ and the FBI, remove all those who had anything to do with the Trump and Hillary investigations. By that I mean the upper echelon, not the rank and file. There are agents in the FBI who want to testify to what went on with these bogus investigations, but they need to be subpoenaed by Congress. Please feel free to share this article, as widely as possible, leaving all links intact and crediting the author, the more people that see it the better. America needs to know the truth. ‹ ONE NATION UNDER GOD?